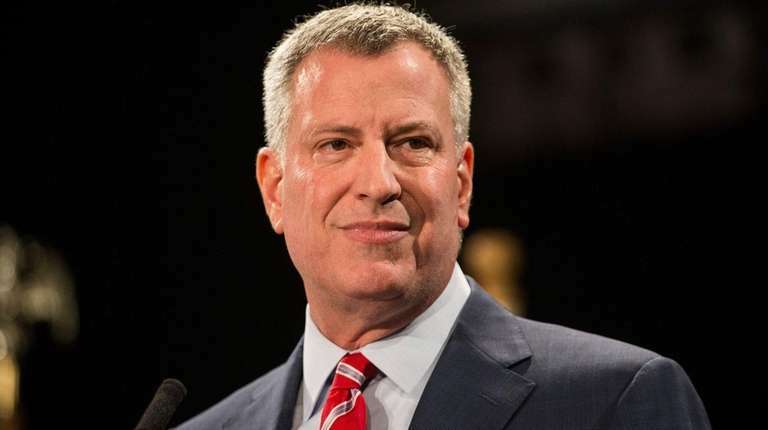 When Mayor Bill de Blasio delivers his State of the City address tonight in the Bronx, he will be met with protesters angry at his affordable housing plans. Community boards rejected two of his key proposals in November, and tenant and social justice groups hope to put the heat on hizzoner as he tries to resuscitate support for the plans. For starters, activists disagree with City Hall about what should constitute affordable in de Blasio’s plans. Concerns about the upzoning of low-income neighborhoods from East Harlem to East New York have driven fears that longtime residents will be priced out. De Blasio didn’t make things better by dismissing the boards’ votes as lacking the power to stop him. Imani Henry helped organize the Brooklyn Anti-Gentrification Network — a coalition of activists, artists and tenants. The group and others demonstrated against the Brooklyn Museum on Nov. 17 for hosting the Brooklyn Real Estate Summit. Tenant reps, community gardeners and other protesters set up tents and decried politicians who “sell out” the borough. Henry says he’s never seen this level of opposition. At a Dec. 16 protest outside Gracie Mansion organized by tenant and immigrant groups, Alicia Boyd, a Crown Heights resident and founder of the Movement to Protect the People, criticized community boards and elected officials who haven’t responded to people of color in the same way they’ve addressed concerns of affluent, white, gentrifying residents. Activists view the mayor and many in the City Council as too close to big real estate, and some have called for scrapping the plans in favor of local planning that does more to preserve and protect longtime residents, who often are the most vulnerable. While the mayor and his allies have spoken of a willingness to make changes, the plan will inevitably invite wealthy newcomers into low-income neighborhoods, pricing others out.